April and her 12 Global Certified Instructors are all sharing their healing knowledge, success stories and recipes to help you help your horse. We ask our members to also share their healing advice and success stories as well. Our main objective is for this site to be the ‘go to’ when your horse is in distress or having a severe issue that you can go here (while waiting for your Vet) to help your horse immediately in all situations. We want to be your healing resource and to share all this knowledge globally. Future ideas in the works include accredited horse hotels, ride share bulletin boards, and webinars. We are always looking for ways to make this club exciting and engaging. Let us know if you have a great idea! Special discounted rates available to those in Europe, South Africa, Australia/New Zealand and Canada. Keep up-to-date with exciting new wellness breakthroughs that are easily searchable. The club is a place to learn from others and share your healing success stories as well! 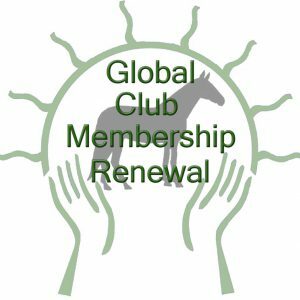 The membership club is the place to be for serious to horse lovers of all disciplines and experiences. Whether you are brand new to horses or worked with them your whole life this is the informational site for you. April and her team have created a space to ask questions, watch curated videos, get the insider information, watch class videos, have access to April through Q&As, and enjoy extra product perks and discounts.